With Apple Pay positioned as a brand new service that requires banks, credit card companies, and vendors to all work together, it seems that some glitches in the system are inevitable. Some Bank of America customers have been running into a serious problem when using Apple Pay to make purchases, with two charges showing up on their credit card statements. A CNN report from this morning first suggested that multiple Bank of America customers had been double charged, which Bloomberg later confirmed. Hundreds of customers are said to be affected. A Bank of America representative contacted by CNN said that the issue was on Apple Pay's end and after some confusion about who should be contacted for a refund, Bank of America was able to refund the money. Bank of America transferred me to Apple Pay customer support. The only problem: Apple's representative reminded me that for security's sake -- as promised -- Apple keeps no records of names or amounts for any of the transactions. That meant there's nothing Apple could do, the representative told me. So Apple told me to call Bank of America. It was every consumer's worst nightmare: customer service for two companies telling you to call the other. Thank God for three-way calling. I got Apple and Bank of America on the same line and let them sort it out. BofA was smart enough to refund me the money, because they said it was obvious to them that these were duplicate charges for the same exact amount. Bank of America is planning to issue refunds to all Apple Pay customers who were double charged, and according to CNN, a fix for the problem is expected to be released at some point on Wednesday. "We apologize for the inconvenience and are working to correct the issue. All customers have been made whole," said Tara Burke, a spokeswoman for Bank of America. "We are always here for our customers and resolve any issues they have." Banking issues aren't the only problem Apple Pay users are facing. According to a quick test conducted by Business Insider at eleven different retailers, many employees have little knowledge about Apple Pay. At eight separate locations, store clerks did not know whether or not they accepted Apple Pay, and only employees at McDonald's, Whole Foods, and American Eagle Outfitters were aware of the service. The site had considerably difficulty conducting a return at American Eagle Outfitters, as the store cashiers had not been taught how to do them, but a refund was received "after a period of trial-and-error." There's also a minor Apple Pay glitch that's causing some credit cards to display the wrong card design within the Passbook app, affecting some Chase and Citibank card users, but a fix for that issue is said to be in the works, according to 9to5Mac. Many of the kinks with Apple Pay will be worked out over the coming weeks, as retail employees adapt to the new payments service and banks and credit cards work out remaining bugs and issues. 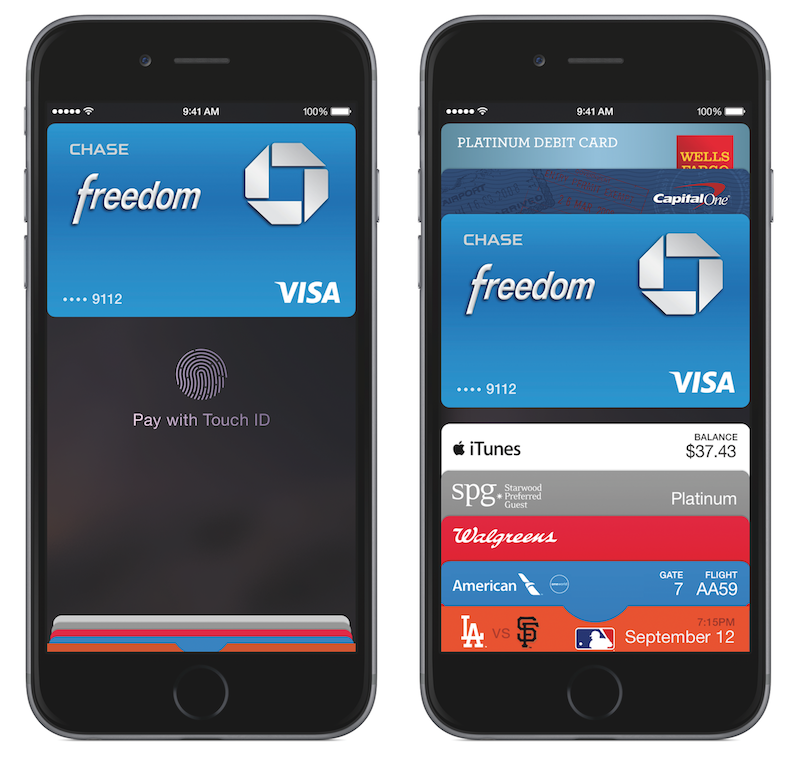 According to Apple's Eddy Cue, Apple Pay will be a "game changer." "There's a lot to do here and we have a lot of work to do, but it should be huge," he said in an interview. Rolled out on Monday through an update to iOS 8.1, Apple Pay is accepted at more than 200,000 retail locations, wherever NFC contactless payments are available. It is also available in an array of apps that have adopted the Apple Pay API, including Uber, Target, and Apple's own Apple Store app. Update 1:22 PM: Bank of America has confirmed to Re/code that the problem is the result of an issue between the bank and at least one payment processor and that Apple is not involved. A fix is expected today, and roughly 1,000 customers were affected by the double billing. Update 1:50 PM: An Apple spokesperson told Bank Innovation that Bank of America is working on a fix and that the issue is impacting only a small number of Apple Pay users. "Apple Pay is off to an amazing start and customers are loving the easy, secure and private way to pay. We're aware of a Bank of America issue impacting a very small number of Apple Pay users. They're working on a fix that will be available shortly and reversing any duplicate transactions." I've been using Apple Pay for three days with BofA with no issues. Quit with the sensationalized bullcrap. So many people would be without a job these last few months if Steve Jobs were still around. Aaaaand it begins. Can't be good for Apple's PR team... Again. do apple test anything before they launch it these days? obviously this is on the Bank of America end and not Apple. My credit card is now bent.